Chuck Ives provides some advice on carp fishing holidays in France; from initially picking a venue, preparation for the trip and finally the journey through France and a few personal fishing tips. 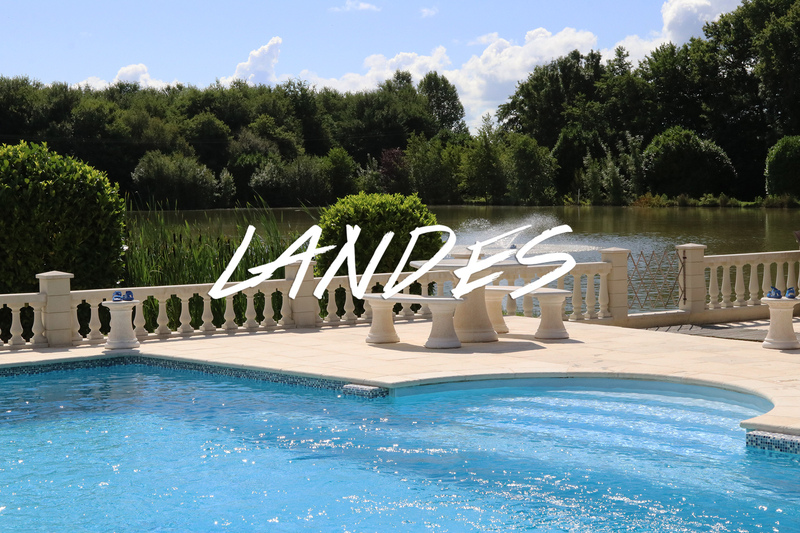 Hopefully these blogs will help anyone thinking about going to France for the first time… or even just to give an insight into the disturbed mind of a 50+ something carp fisherman, who should know better at his age! I still love an adventure and acknowledges that since taking up with carp fishing holidays in France they have become the highlight of my fishing year… they put a spring in my step and a twinkle in my eye just to think about going again. Perhaps the most important part of any planned fishing trip is to spend the time to do a little research on picking the correct venue for yourself and your travelling companions. 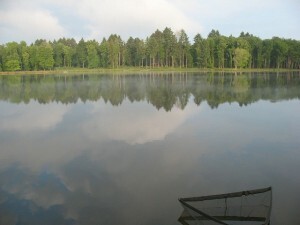 Without doubt Angling Lines are super at helping anglers experience the delights of France and carp fishing at its best. One phone call to the girls in the office and they will give you unbiased advice on a wide selection of venues and that will definitely help in your quest to find the perfect venue for you. However I think it’s worth doing a little homework before this and to make some decisions on a few basic requirements. Do you regularly fish large waters? Is your fishing equipment designed for this, or perhaps like me your prefer the more intimate type of waters. Personally I still haven’t grown up and I’m still spell bound from the tales of huge carp in Redmire in 50’s and 60’s. This has fuelled my obsession that has lasted through the years (I still chuckle on how I used to hide the tins of sweetcorn back in the 60’s from other anglers as it was THE secret bait that caught so many carp from carp lakes up and down the country). Anyway, please see my thoughts in the list below. I’ve placed them in the order of importance to me, but remember what’s important to me may be less so to you. I strongly recommend that a little time at this stage spent deciding on the type of venue you’re looking for will pay dividends and help the people at Angling Lines sort out the correct venue for you. 1. Take a look at your normal fishing equipment – this should help you decide on a lake size that suits you. After all you’re going to France to catch and if you normally fish at ranges of up to 50 yards it will be pointless to go to a brilliant water that holds loads of carp but to catch consistently you really need to cast 100yds plus accurately… or vice versa if you are geared up for & enjoy long range fishing back in the UK. You’ll find the small water venues restrictive for your chosen fishing style and perhaps your fishing equipment not ideally suited to the venue. 2. Do you need accommodation? If so to what standard, full on luxury such as Mas Bas? Or are you intending to bivvy up? 3. Is your partner, or family going to go with you, or is it a trip with the boys? There are venues specifically catering for what ever type of fishing holiday you are thinking of taking. If you are taking non-fishing companions on the trip, making sure that they will be happy whilst you’re fishing. Venues such as Golden Oak and Watersmeet are good for these types of holiday. This will definitely cut down on any ear ache that will surely be coming your way if your non-fishing wife or girl friend is huddled in the back of your bivvy, sheltering from the rain, and needing to use the loo which just happens to be situated on the other side of the lake. We’d all like to catch these monster carp but the venues that contain them are often pretty difficult! 4. What’s your fishing target for the week? Is it to catch a 40lb+,or even 60lb+carp? If so select one of the venues that will give you the best possible chance of achieving this, such as Laroussi or Villefond. Or , like me, are you just looking for better fishing than is normally available in UK and offers a chance of a carp or two in the 30lb to 40lb bracket (can’t be bad!) Also remember that many of the waters containing the real giant carp are difficult by their very nature. Give them a miss unless you are prepared to blank or if lucky to catch just one of these super specimen carp. Pick a venue that gives you every chance of the type of success you are looking for. Carp fishing is all about personal choice. To some anglers the thought of their buzzers going off all the time and 50+ carp banked during a week’s holiday would not suit their ideals at all… whilst to others this would be utopia. 5. Do you want lake exclusive or would you prefer to share with other anglers. Both of these options have their plus points. 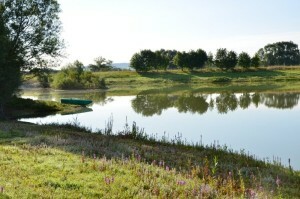 Lakes such as Lillypool and Notaires allow you to affordably hire a lake exclusively between just 2 or 3 of you. 6. When you arrive at this point you’ll already have narrowed down the choice of venues on offer to the ones that meet your basic outline requirements. Now decide when you would like to go. I suggest that if possible be a little bit flexible in this, to give you maximum choice when it comes to the actual booking or to secure your most preferred venue. 7. Check out the feedbacks from the list of venues you have narrowed down your choices to. It’s especially worth while checking the feedbacks from previous years for the time of year that you intend to travel. The feedback section on each of the AL venues is brilliant, they are completely unbiased, not altered in any way and will give you a real insight to the venues on offer. But remember each of us has differing angling capabilities or may wish to fish in a relaxed holiday style whilst others will fish intensively looking to maximise the opportunity on offer… and this will reflect on the venues feedbacks. 8. Distance – how far are you prepared to travel? The majority of the furthest venues offer a Fly option where you can hire tackle when you get there. Or perhaps you would like to choose one of the venues closest to the channel ports and take a leisurely drive through France. 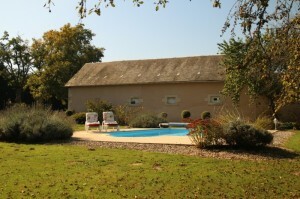 Beaurepaire, Molyneux and Deux Iles are only a couple of hours from Calais. By now, I expect you will be focussing on one or two venues. That to me is when to pick up the phone, speak to the staff in the AL office, tell them what you are looking for. They’ll probably confirm that you have made the right choices and perhaps help you decide on the final one for you if you just can’t make that ultimate decision. Is it worth this much effort? Every time I’ve been to France I see anglers on the way out wolfing down breakfasts on the ferry & full of optimism. Unfortunately often on the way back I see the same anglers looking disappointed. Pick your venue wisely and it will pay dividends and like me, you will be going back for more and more. I’m over again at the end of April and can’t wait especially if the weather warms up a tad.